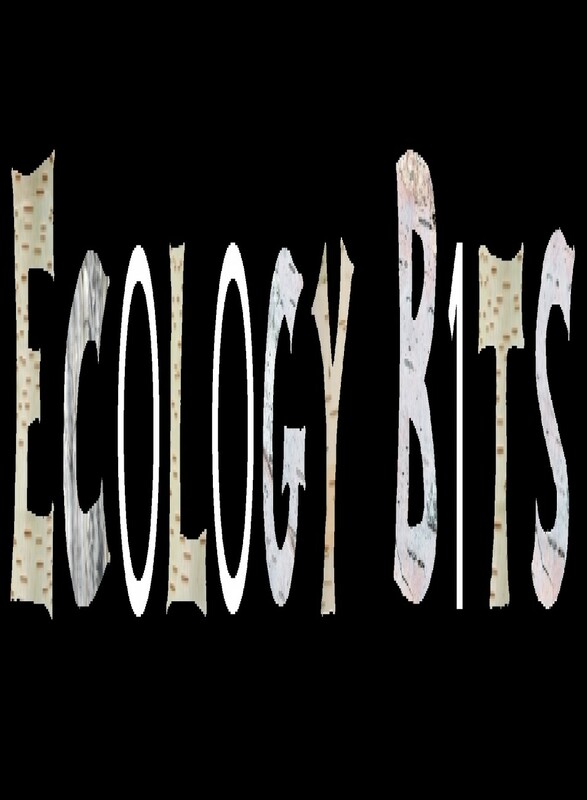 Ecology Bits is launched! It’s been a long time in coming. I’ve been wanting to blog for the professional ecological community for years, but there have been stumbling blocks. To be fair, the major one was myself: not for lack of commitment so much as being very picky when it comes to design. I dreamed up a design and then asked a friend and professional artist if she could bring it to fruition. The cost of professional design turned out to be above what I could justify on a grad student stipend and with a child to support. So the idea languished. And then I ran out of time to write blog posts anyway. Despite some people always being able to find a time to blog, I think that’s only really true if (1) your life is stable; or (2) you don’t have dependents with intensive needs. I was finishing my dissertation while scrapping for the last bit of money to support myself (and the requisite childcare expenses I needed to finish). Simultaneously, I was also trying to find a postdoc position. That happened, and then I needed to uproot my family of three across the country (yet again), and start a new job. Oh yeah, and I was pregnant. New job. Move. New home. New childcare. New doctors. New neighbors. Reregistering. Finding the new stores. It all takes a lot of time. Then there was a new baby. I find that each move costs me about 2 months of productivity. Each baby costs me between 1-2 year’s worth. When I’m running deficit on work time and family time is saturated, I can’t justify writing blog posts. I must sleep in the only time I have left. But now it’s a year and a half post-birth, and life is starting to take on a semblance of normal – whatever that means. One thing is clear: my work time is less infringed upon by breastfeeding and pumping needs. And that means some interstitial times in which to blog again. I say ‘again’ because I am not new to blogging. My introduction to blogging began with a conversation in college back in the 1990’s. I was on a long evening walk, as one is in college, with a guy I had recently met. Or rather talked to. I had known of his existence for some time as his social circles of computer science and theater overlapped mine. And he told me that he kept a journal. Online. So anyone could read it. This seemed weird to me, and intriguing. I had kept a journal for many years. In a book on paper. Where only I could read it. Why would someone keep an open journal? Of course, I checked it out as soon as I got back to my room. And I loved it. Well, I loved reading it. But I had no intention to write my own. After I graduated from college, a friend of mine and I took a trip around Europe for a summer. But not the standard train-and-hostel trip; we biked. We biked and biked and eventually logged 1,000 miles. We had lots of adventures and I recorded them in my journal. When I got back to the U.S. and started a dreary 9-5 job, I typed them all up, added pictures and ‘published’ the journey on CD for family. A few years later I was living and working in Germany. And I had not only the national Germany holidays off and the local Bavarian ones, but I also had the U.S. holidays off. And I had a lot of vacation. In other words, I had a lot of free time and I spent it all traveling. This time, my adventures went directly to computer. It was now 2003 and the Internet had taken off, and by posting my pictures and writings publicly, I could keep in better contact with my family. It was my first official blog, even though that term hadn’t become mainstream yet. And it was manually formatted in HTML. After my stint in Germany, I worked on a farm in Wisconsin for a year. Again, I blogged the experience, to the enjoyment of my family and friends. They told me that they really enjoyed reading my writing, so I kept on doing it. I continued writing for a while after that, but found that without a theme to tie my writing to, it wasn’t as compelling to read or interesting to write. That blog petered out and I stopped blogging all together. I picked up blogging again when I was pregnant with my first son in 2009. I was in the midst of a Ph.D. program at the University of Minnesota and all my family and most of my friends were elsewhere in the country and world. They wanted to know what was going on. I also had a keen desire to capture the fleeting moments of this new adventure. I blogged for about two and a half years – with a major focus on pictures and video – until a cross-country move interrupted the flow. Around the time the baby blog was petering out, a colleague and I were developing an ecology citizen science project in collaboration with the online platform Zooniverse. Called Snapshot Serengeti, it launched in December 2012, asking volunteers to identify species in camera trap photos from the Serengeti in Tanzania. Along with the site itself, we started a blog to answer volunteer questions and provide a glimpse to the volunteers of what the “professionals” (we were both grad students at the time) did behind the scenes. This was fun because it was the first time I had an audience other than my family and friends. I wrote about Serengeti ecology and about the data analysis I was doing with the data the volunteers produced. I got comments. I answered questions. I learned that the people who bothered to comment on the blog were really interested in the project and smart. It’s been a great experience. My blogging these past couple years has been more sporadic. I write for the Snapshot Serengeti blog on occasion. I write for a blog I started in conjunction with a new citizen science project called Season Spotter. And I guest blog for Dynamic Ecology from time to time. I really enjoy Dynamic Ecology for both its range of content as well as its comment discussions. It’s arguably the most widely read ecology blog focusing on the culture and practice of professional ecology. I also regularly read Small Pond Science, Tenure She Wrote, Gravity’s Rainbow, and The Contemplative Mammoth. And, like many, Female Science Professor was my gateway blog into reading academic blogs. I’m happy to start up my own academic blog now. It means that I’ll have an outlet for the bazillion things I write or want to write. And maybe I’ll even have a few readers. And generally, posts will be shorter than this one. I have a lot of opinions about design, as I mentioned. One thing I believe is that most blog posts ought to be kept to about 500 words. But since no one reads the very first post of a blog, I’m safe with this one. (You’re not reading this, are you?) And while I’m not head-over-heels in love with the current blog design, it’s good enough for now. You might think that, given the timing, starting this blog is a New Year’s resolution. It’s not really. I don’t save my resolutions for a specific time of year. But I do happen to have a little bit of extra time right now to get over the activation energy hump of starting a blog. My goal for 2016 is #50posts– about one blog post per week for a year. My secret goal is to get picked up by Dynamic Ecology’s Friday links at least once a month. Content will be ecology-centric, with some focus on the computer, algorithms, and statistical side of (ecological) data analysis. I was a computer scientist before I became an ecologist. Also diversity stuff, because when you’re a tech-phile and math-phile and female and a parent, it’s hard to avoid. And citizen science, because it’s fun and important. And likely many thoughts on the academic system and on being a postdoc within it. And advice for other postdocs and for grad students. Enjoy! Looking forward to the new blog Margaret! Good luck with it. The ecology blogosphere can always use ambitious new blogs, particularly ones not written by tenured faculty. Like Jeremy, I’m really looking forward to this, and welcome (back) to the blogosphere! That’s an interesting mix of topics you have planned (but my own advice for what it’s worth is not to try to stick to closely to them; write what interests you on any given day). Best wishes for strong readership! Sorry Margaret, I didn’t get the “first Blog” memo until too late. There can never be too many blogs about ecology, the least understood discipline in science (except maybe quantum physics. I’m looking forward to your contributions. Any chance of getting an RSS feed so I can more easily keep this blog in my regular rotation? Amy, for sure! I just added a link to the RSS feed in the upper right of the blog. (So many things to remember when setting up a blog…) Thanks for asking! Definitely didn’t read the contents of this one (even if the n-th rule of blog club is read the whole post before commenting), but looking forward to reding what you have to say in the future! Best wishes. Keep the posts coming, I just added Ec0l0gy B1ts as one of the blogs I follow. I like your goals and hope that you meet every one of them. Glad to see the new blog! If you’re willing, we’d be happy to have you join EcoBloggers (http://innge.net/?q=ecobloggers), which might help get your posts out to a wider audience.